One of the first things that capture a home shopper’s attention is the architectural style of a house. Like price and square footage, the design of a house is one of the major factors that go into their decision to tour—and maybe even buy—a home. Whether you’re trying to identify a particular style or determine which one suits your taste the best, the list of popular architectural styles below will help you sort it all out. If you’ve ever seen an episode of “Mad Men,” you’re already familiar with Mid-Century Modern design. Although this style is characteristic of the ’50s and ’60s aesthetic, these homes began springing up in the mid-1940s—right after World War II—and continued to spread through the 1980s. It has enjoyed a surge of new popularity in recent years. This design is known for its simplicity. Homes and buildings constructed in this architectural style typically include flat planes, geometric lines, large windows, walls of glass, open floor plans, and varied elevations throughout. This style emphasized the idea of integrating homes with their natural surroundings, and bringing the outdoors in. Some Mid-Century Modern homes have become closely identified with their architects or developers and their trademark styles. 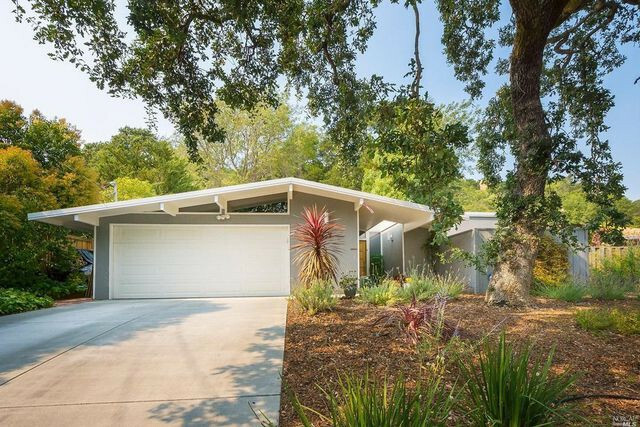 Joseph Eichler, for example, was a pioneering developer of residential suburbs in California and built more than 11,000 homes, many of which are highly sought-after today. If getting in touch with Mother Nature sounds enticing, an earthship home could be the perfect living arrangement for you. These eco-friendly residences, found mostly in sun-baked areas like New Mexico and Arizona, are primarily built from recycled automobile tires filled with compacted earth or compressed soil. Natural and recycled materials such as aluminum cans, plastic bottles, and cardboard are also used in the building process. 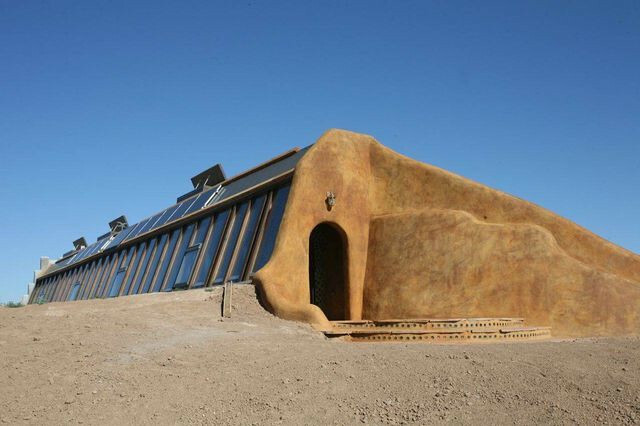 Because earthship homes are designed to collect and store their own energy, they heat and cool themselves without electric heat or burning fossil fuels or wood. That translates into big savings on your electric bill. 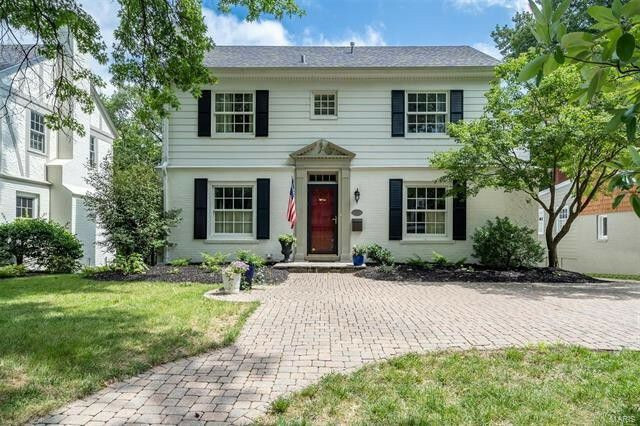 Best known for their symmetry, Colonial-style houses evolved from their origins in the 13 U.S. Colonies of the 1700s. Common characteristics include a square floor plan, chimney, medium-pitched roof, and a door located in the center first floor of the facade. Typically, the same number of windows are situated on the left and right sides of the front door. Across the country, the Colonial blueprint has evolved considerably to meet the needs and tastes of specific regions. These variations include the Georgian Colonial, Dutch Colonial, French Colonial, and Southern Colonial houses. Cape Cod homes do, in fact, get their name from the vacation destination off the coast of Massachusetts. Originally designed to withstand the region’s harsh winters, these homes are known for their steep, slanted roofs, which allow snow to melt off, and central hall with equal space on either side. Traditional Cape Cod homes rarely have built-out porches or other exterior ornamentation. Long before the existence of cars and trucks, the original two-story carriage houses were popular in the northeastern United States. They served dual purposes: Horses and their gear were housed downstairs while their caretaker resided on the upper floor. Many dwellings that were once carriage houses have since been converted into garages with the residential area sitting above it. Others have been modernized to include an adjacent building for extra living space, a workshop, or office. A patio home is an attached dwelling that typically has a shared wall with at least one other unit. Architecturally, these homes look very similar to townhomes and condos. Patio homes typically max out at one or 1.5 stories. 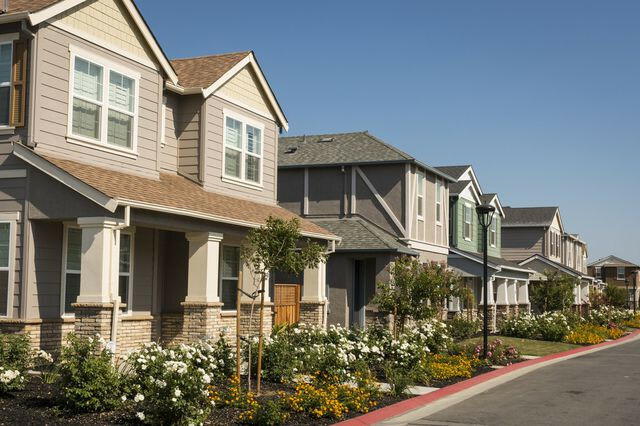 They are a relatively recent addition to the housing landscape, coming into fashion in the 1970s as gated and shared communities sprang up around the United States. A patio home would be ideal for those who don’t want the maintenance typically associated with owning a home with a large yard. If you romanticize about setting foot in Spain, France, or Italy, a Mediterranean-style home might be right up your alley. Found primarily in warm-weather states such as Florida, California, and Arizona, these homes are generally one or two stores and vary in size. This style’s most distinctive feature is a low-pitched, terra-cotta-tile roof. 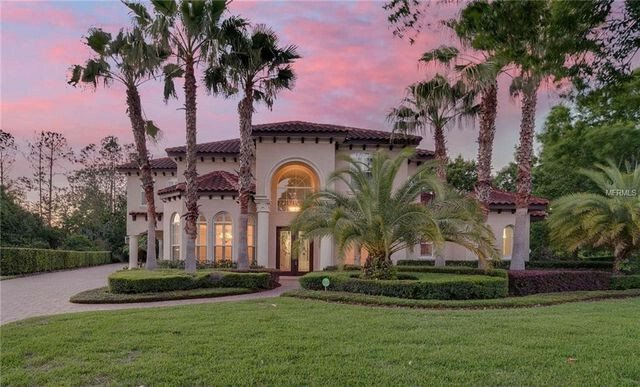 Other common characteristics of Mediterranean homes include big windows, a stucco exterior, arched openings, columns, and ornamental designs, verandas, and courtyards. It may look like this style came straight out of a fairy tale, but you won’t find Sleeping Beauty, Snow White, or seven dwarves here. Often referred to as “Hansel and Gretel” or “fairy-tale” homes, storybook homes were inspired by Hollywood film studios in the 1920s. 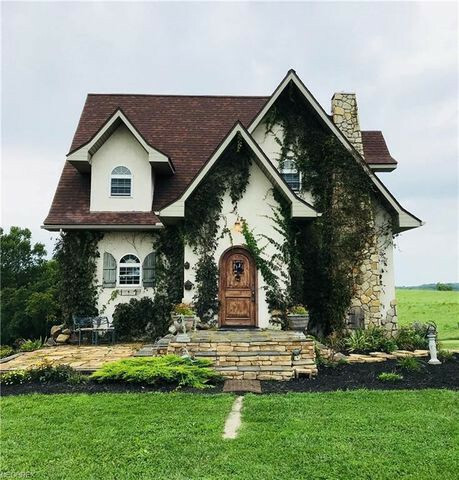 Most storybook cottages are asymmetrical, contain one to two stories, and feature arched or half-round doors, decorative fireplaces, stucco siding, cross-gabled roofs, decorative chimneys, turrets, towers, half-round or ached doors, and tiny windows. 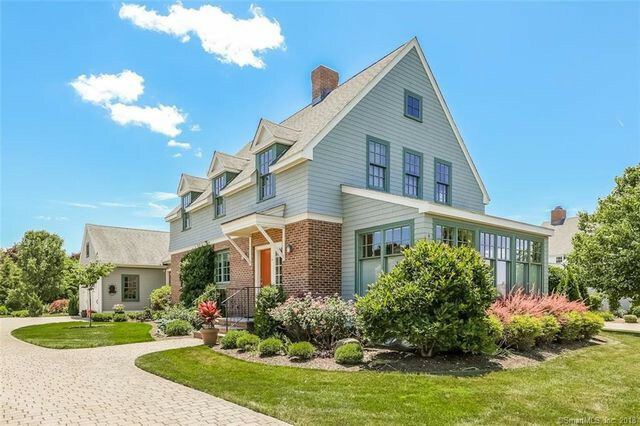 This Southport, CT, home is one of only two Cape Dutch–style homes for sale in the United States. Originating in the Western Cape of South Africa, the Cape Dutch style first became popular during the 17th century, when Dutch settlers colonized the area. 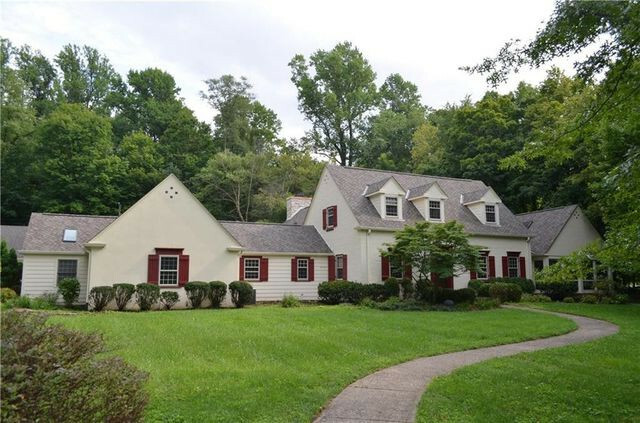 Today in the U.S., only two true original Cape Dutch–style homes are available for sale. These homes are often H-, T-, or U-shaped. Distinctive features of this style are a thatched roof and central, rounded gable prominently displayed on the exterior. These homes also feature large wooden sash cottage panes, external wooden shutters, and green detailing.